as defined in articles 60 ff. of the Swiss Civil Code. The Association (hereinafter named ESTAL) is domiciled in Zurich. 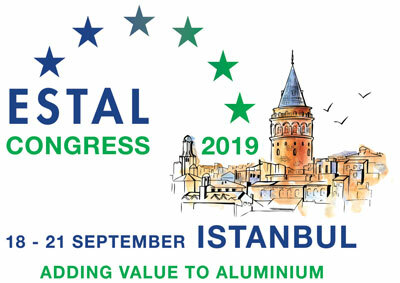 Estal aims to defend and promote the interests of its members at an international level, to actively contribute towards finding solutions to technical, economic and ecological issues associated with the production and utilisation of surface treated aluminium and to encourage the sharing of knowledge and the development of new technologies among its members. Estal will actively build contacts with all national and international associations in all fields of treatments and applications of aluminium with the aim of establishing membership and creating a platform on a European level, implying a dialogue between the industry, its suppliers and its users, both on a national and international level. ESTAL will focus on matters like environment, education & training, quality, standardisation, PR, benchmarking, lobbying, technology, and the sharing of knowledge in order to become the reference and acknowledged Authority and Centre of Excellence on a Pan-European level on all issues concerning treatment of Aluminium. ESTAL is a non-profit-making institution. The members shall receive neither reimbursement nor shares in profits. - all national associations located in the European countries mentioned hereunder and representing the industry of aluminium surface treatment in their respective countries. (anodizers' associations, coaters' associations or a combination of the two). - all national associations located in the European countries mentioned hereunder whose main objective is to represent other industries of surface treatment on aluminium. - Companies active in aluminium surface treatment or using finished aluminium products with a hub in more than one country. - National associations of aluminium surface treatment located outside of Europe. - International associations of users of finished aluminium products. - Any other organisation that has an interest in Aluminium Surface Treatment. Applications for membership shall be made to the Secretariat of ESTAL in writing. Applicants shall be accepted as members when their application has been approved by the General Assembly of ESTAL. 7.1. Any member may withdraw from ESTAL upon submission of written notice to the Secretariat by registered letter. The term of notice shall be six months before 31 December of the current year. The member shall be liable for payment of the membership contribution until the date of his withdrawal from ESTAL and the contribution must be paid by that date. 7.2. Any member of ESTAL may be expelled for important reasons by a resolution passed by the General Assembly. The member threatened with expulsion must be granted the possibility of having his case heard by the General Assembly before any resolution is taken. All surface treatment next to coating and anodizing is categorized as “Others” so there are three Surface treatment Groups that get votes, bringing the maximum of votes to 9 (3x3). 8.1.3. Associate members shall be represented by one delegate only per country. Each country shall have one vote. By default, the first applicant of a country holds the vote, unless agreed otherwise. 8.1.4. Cooptive members (associations or companies) shall be represented by one delegate each. Each member shall have one vote. 8.1.5. Sustaining members may be represented at the General Assembly and at the Executive Committee by one representative per company (so not per country where the company has a hub) but shall have no votes. Valid votes should be passed with a majority of 50% of the votes present or represented + 1 vote. - represent at least 65% of the surface treatment companies which are members of the national associations of ESTAL. The General Assembly is the supreme authority of ESTAL and shall be held at least once in every year. An Extraordinary General Assembly may be convened at any time by the Executive Committee or at the request of at least six full members of ESTAL upon presentation of their grounds for this request. 12.1. Notice of the Ordinary Annual General Assembly shall be served by the Secretariat upon all members not less than three months before the meeting is to take place. 12.2. An Extraordinary General Assembly may be called upon 20 days notice. 12.3. Items of business proposed for the agenda of the Ordinary General Assembly shall be submitted to the Secretariat not less than two months before the meeting is to take place. The Secretariat shall dispatch the agenda one month before the Ordinary General Assembly is to be held. 12.4. The Secretariat shall dispatch the agenda for the Extraordinary General Assembly 20 days before the meeting, stating the grounds for the Extraordinary General Assembly. 13.1. Election of the Executive Committee Members. 13.2. Election of the President and the Vice-President, auditor, deputy auditor. 13.3. Membership in other associations or organisations. 13.4. To pass the balance sheet and the profit and loss account and approve the budget. 13.5. To give discharge to the Executive Committee and Secretariat for the activities carried out during the previous year. 13.6. To determine the normal contributions of the various members and to pass resolutions on any exceptional contributions by the various members. To determine any enrolment fees for new members. 13.7. To resolve on the admission and expulsion of members. 13.8. To pass resolutions on the proposals duly submitted to the General Assembly by the Executive Committee and various members. 13.9. To draft and amend Articles of Association. 13.10. To pass a resolution to dissolve ESTAL. 13.11. To confirm the appointment of a Director. 14.1. The President or, in his absence, the Vice-President or one of the members of the Executive Committee shall preside over the General Assembly. 14.2. The voting rights of the various members are determined according to the above-mentioned section 8.1. 14.3. The General Assembly shall be entitled to pass valid resolutions only if delegates representing not less than two-thirds of the votes are present. 14.4. All resolutions with the exception of those relating to amendments to the Articles of Association (section 30) or the dissolution of the Association (section 31) require to be passed by a majority as defined in the above-mentioned section 8.2. 14.5. Voting shall generally be by a show of hands. However, a ballot may be demanded by a simple majority of the delegates present at the Assembly. 15.1. The Executive committee shall consist of a number of persons representing the various members, according to the rules defined under section 8.1. 15.2. The members of the Executive Committee, the President and the Vice-President shall serve for a term of three years and be eligible for re-election. The term starts immediately with the election and terminates at the end of the third Annual General Assembly after the election. 16.1. Meetings of the Executive Committee shall be convened by the President who shall also take the chair. In the absence of the President, the Vice-President shall chair the meeting. In the absence of the President and of the Vice-President, the members present shall elect one of the delegates as chairman to preside over the meeting. 16.2. Any Executive Committee member who is unable to attend an Executive Committee meeting for compelling reasons shall delegate a competent proxy for attendance or give a written proxy for attendance to another member of the Executive Committee (sustaining members excluded). No Executive Committee member shall hold more than one proxy during a meeting. The Executive Committee may pass valid resolutions only when the majority of its members are present in person. 16.3. When at least 51% of the Executive Committee members representing full member companies are represented in person, proxies will be taken into account for the quorum and the voting. 16.4. Resolutions shall be passed by a simple majority (50 % + 1 vote) of the Executive Committee Members present or represented (sustaining members excluded). In the event of an equal vote, the chairman shall have the casting vote. Voting and elections shall generally be by a show of hands. 16.5. ESTAL Executive Committee members will vote according to a double voting system with qualified majority, as specified under section 8.2. 16.6. The members of the Executive Committee shall meet as often as is necessary to deal with the business in hand and also upon a requisition submitted by not less than three full members of the Executive Committee. 16.7. The Executive Committee may pass resolutions by circular vote on proposals of the President. Such resolutions are valid as if they would have been passed in a meeting. Each Executive Committee member may request that the subject be put on the agenda for the next meeting. Resolutions passed by circular vote are valid only if passed unanimously. 17.1. The Executive Committee shall represent ESTAL. 17.2. The Executive Committee shall be responsible for all matters not within the purview of the General Assembly. a) The ultimate management of the association and the giving of the necessary directives. b) To install the Director. c) The establishment of the organisation. d) The structuring of the accounting system and of the financial controls as well as the financial planning. e) The appointment and removal of the persons entrusted with the management and representation, including the appointment of the Technical Coordinator entrusted with lobbying activities at European level and the appointment of delegates of ESTAL to any external organisations and liaison groups. f) The ultimate supervision of the persons entrusted with the management, in particular in view of compliance with the law, the Articles of Association, regulations and directives. g) The preparation of the business report. h) Notification of the judge in case of over-indebtedness. i) To designate authorized signatories with the limits authorized in art. 20.
j) To arrange and prepare the General Assembly. k) To enforce the resolutions of the General Assembly. l) To specify the subjects for the working groups and to appoint their convenors. m) To receive the reports of the working groups and to decide on the further procedure. n) To appoint the editorial staff for the ESTAL News and to formulate its guidelines. o) To propose to the General Assembly to pass a resolution in order to replace the President or the Vice-President. 18.1. The Executive Committee may delegate part of its powers to the President or the Vice-President for the purpose of representing the Association in dealings with third parties or for any particular task. 18.2. The President and Vice-President have to report regularly to the Executive Committee about their activities. 19.1. Out of persons representing the Full Members in the Executive Committee, the Executive Committee shall nominate candidates for the functions of the ESTAL’s President and Vice-President by ballot upon proposals made by the national associations. As President and Vice-President they may still represent a full member. 19.2. The General Assembly shall elect the President and the Vice-President on the basis of the nominations made by the Executive Committee. 19.3. Only individuals who are currently employed directly within the industry and who are already members of the Executive Committee shall be eligible to serve as President or Vice-President. 19.4. To be elected President or Vice-President in the first round, a candidate must secure an absolute majority of the votes cast by the delegates present or represented. If none of the candidates is elected in the first round, a second round shall be necessary. In the second round of voting, the candidate securing a simple majority of the votes shall be elected. 19.5. The President and the Vice-president shall serve for a term of 3 years. Immediate re-election of the President shall be allowed. The Vice-President shall normally succeed the President at the expiration of the President’s 3 year mandate. 19.6. In case the President is unable to perform his office or has given in his resignation, the Vice-President will replace him until the following General Assembly. In case the Vice-President is unable to perform his office or has given in his resignation, the Executive Committee shall ask the following General Assembly to elect a new Vice-President. The President and/or the Vice-President have to act within the limits of powers as per section 17, or organisational Bye-Laws or the mandates given to them by the Executive Committee. 21.1. The Steering committee is formed by the President, the Vice-President, the immediate past President and the Director. The role of the Steering committee is, among others, to provide counsel and support to the President and the Director, to monitor projects if necessary, and to prepare the Executive Committee meetings. 22.2. Coordination of the activity of the Secretary and the Technical Coordinator. 22.3. Coordination of the work of the Steering Committee and the President who is authorized to give instructions to the Director. 22.4. Advice on how to improve the international image of the Association, how to bet develop and execute a marking strategy, focussing on electronic and written communication as well as international networking. 22.5. In a course of his activity, the Director may be asked to represent ESTAL to the national associations, to other trade associations and to associations and institutions that have interests similar to those of ESTAL. 22.6. The Director will make proposals how to establish the budget and how to implement it. 22.7. The Director advises ESTAL on how to insure the observation of its statutes and internal rules. 23.1. All acts binding the association shall be valid only if signed by two persons. This can be the President, the Vice-President and/or the Director. 23.2. For the activities of the secretariat, the Executive Committee may delegate powers of signature to the General Secretary. 24.1. A Secretary General is appointed to assist the Director in implementing the resolutions passed by the General Assembly and Executive Committee, in preparing the various meetings of the association, and in attending to the business of the Association. 24.2. The Secretariat shall keep minutes of every meeting. All documents drafted by the Secretariat shall be written in English. 24.3. The secretariat’s compensation will be determined annually with the association’s budget. 24.4. Legal entities shall be eligible as secretariat. 25.1. The General Assembly shall elect one or more auditors for a period of three years who shall be eligible for re-election. The General Assembly may also nominate deputy auditors. 25.2. Legal entities shall also be eligible as auditors. - the remuneration on any service rendered by ESTAL to its members and third parties. 27.1. The annual contributions of the various members shall be fixed each year by the General Assembly which shall also determine the basis of calculation. 27.2. Every member who is a member on 1st November will be liable for subscriptions for the following year. The assets of ESTAL shall alone be liable for the commitments of ESTAL. All possibility of any individual liability of the full members and associate members shall be excluded. Only the association is liable for the activities of the association and of its bodies or committees which acted on behalf of the association. The association shall indemnify the members of the bodies or committees for any damage provided they have not acted fraudulently or grossly negligently. The Articles of Association may be amended at any time by a General Assembly where not less than two-thirds of the delegates representing all categories of members are present or represented, provided that three-quarters of those present or represented agree to such amendment. If the General Assembly is not entitled to pass valid resolutions, a second General Assembly shall be convened which shall at all events be entitled to do so. In such case not less than two-thirds of those present or represented must agree to the amendment. 31.1. The same conditions as specified under article 30 shall apply to resolutions to dissolve ESTAL. 31.2. In the event of the dissolution of ESTAL, the General Assembly shall resolve on the distribution of any assets of the Association or on covering any losses incurred. The official language of ESTAL shall be English. The official currency of ESTAL shall be EURO. The General Assembly may, on a proposal from the Executive Committee, adopt one or more bye-laws (internal regulations), which shall be binding on all members as well as Bodies and Committees of the association. Such bye-laws will complete the Articles of Association, without however, in any way infringing their stipulations. In the event that any section of these Articles of Association shall be found to be void or unenforceable, such findings shall not be construed to render any other sections of the Articles of Association either void or unenforceable, and all other sections shall remain in full force and effect unless the section(s) which is/are invalid or unenforceable shall substantially affect the rights or obligations of the association or its members. Any void or unenforceable section shall be considered replaced by a valid section with the closest possible meaning of the void or unenforceable section. All questions not covered by these Statutes or by any regulations made for their applications shall be settled in accordance with Swiss law. These Articles of Association were approved by the General Assembly held in Berlin on 14/06/2012 and shall enter into force on that day.